When you’re carrying everything you need for a week of hard fishing on your back—or in checked airline baggage—every inch and ounce counts. 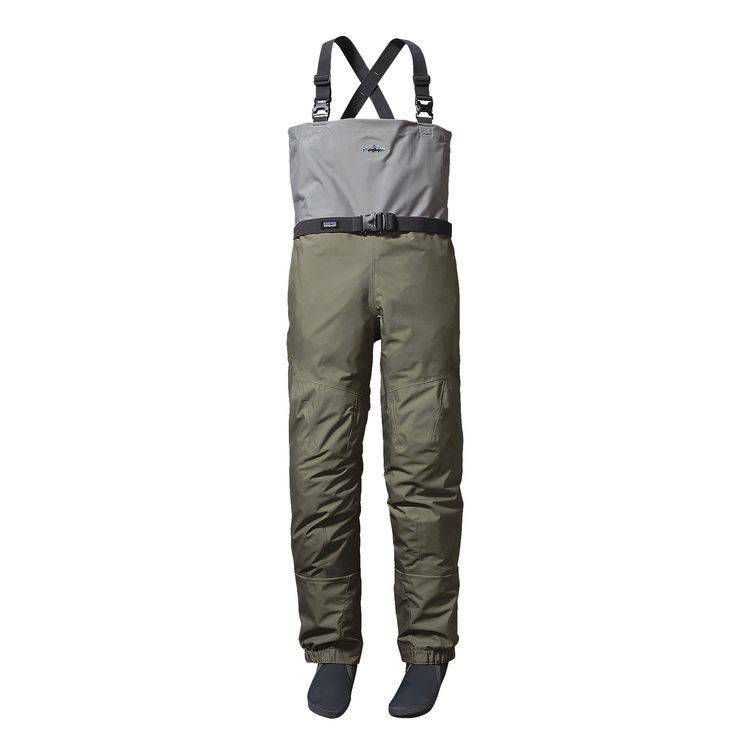 Our Rio Azul Waders are built for extreme lightweight performance and max packability, which also makes them a perfect fit for warmer weather and water. 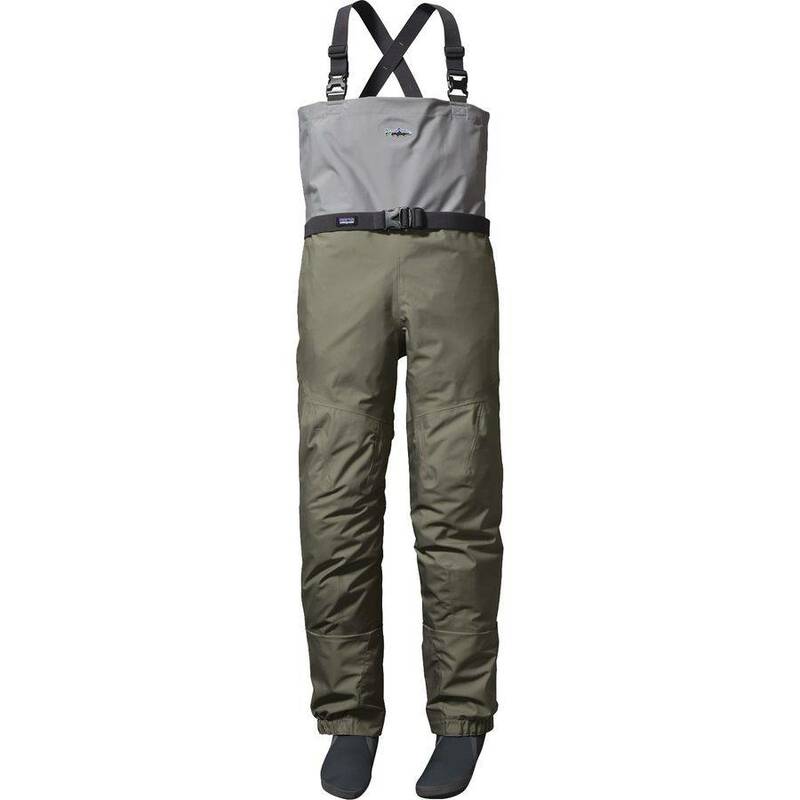 The supple new H2No® Performance Standard 4-layer, 6.1-oz polyester fabric with waterproof/breathable barrier and DWR (durable water repellent) finish is now put together with the same Single Seam Construction for increased durability found throughout the rest of our wader lineup. 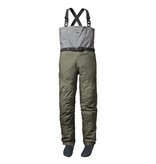 Adding to the versatility of these waders, the fully adjustable suspenders have male and female buckles that allow quick conversion to a belt so the Rio Azul can be neatly worn as pants. Our new flat-panel gravel guards drain water quickly if you fish in and out of a boat, in addition to better resisting abrasion and wear while hiking or wading. Beneath the new gravel guards, our improved booties have a more anatomical, sock-like fit and are made from a denser 4mm neoprene that resists compaction better over the long haul. 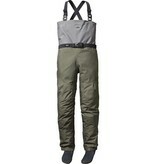 A stretch wading belt with low-profile buckle protects you from the inevitable that-tailout-was-deeper-than-I-thought swimming sessions. Front utility keeper for convenient tool attachment. A raised Fitz Roy Trout logo tops it off. Field repair kit included.